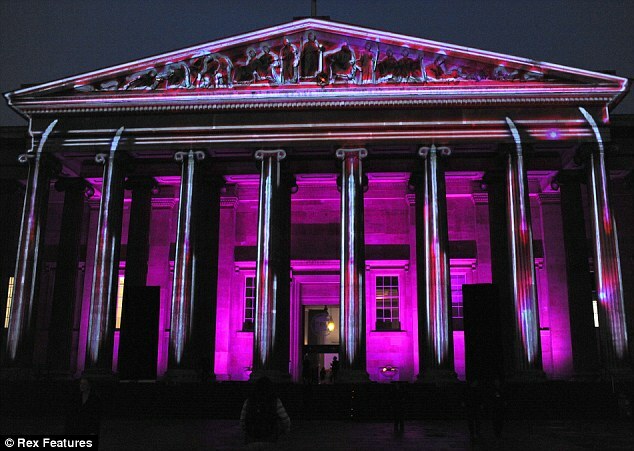 Projection mapping for Estée Lauder Breast Cancer Awareness, 8th October 2012. On this project, in just two weeks I recreated the model of the British Museum starting from some photographs, tracing its contours and sculpting the relief. I then modeled and animated the ribbons, peonies, candles and lanterns. As usual, all done in Cinema 4d and After Effects.